Happy 3rd year anniversary FAVORI! 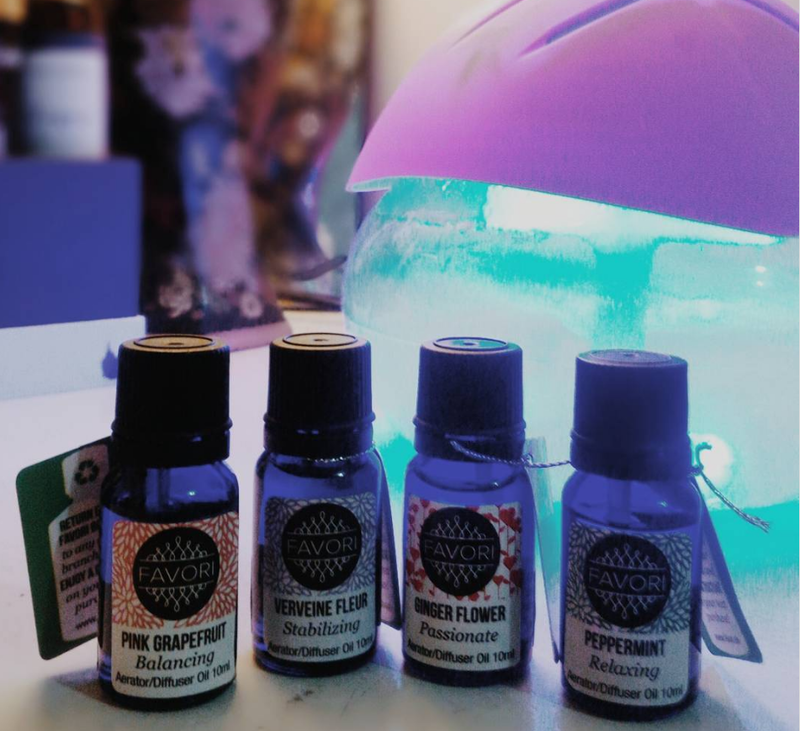 FAVORI scents has been part of my everyday life, making sure the aerator runs before I could start working on my blogs. I also like the relaxing scent while doing yoga at home. But one of the things I like about it most is how it freshens my kitchen especially after cooking. For three years, FAVORI has been providing quality and long-lasting ambient scents for various living spaces at affordable prices. 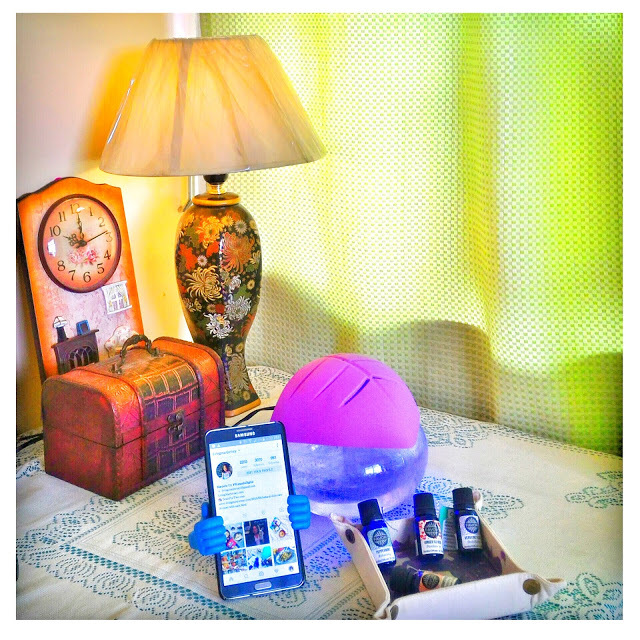 Each handcrafted home fragrances enables anyone to “create their favorite feeling”. It offers topnotch aromatic products designed to uplift the ambience and improve the mood of people wherever a FAVORI product is present. Aside from FAVORI’s soothing Aroma Oils, Reed Diffusers, Soy Aroma Candles and Aroma Pouches, FAVORI also has a Wellness line – by way of Air Sprays, Salves, and Massage Oils - geared to improve a person’s mindset and create a positive feeling towards well-being. Get One Promo on April 20. 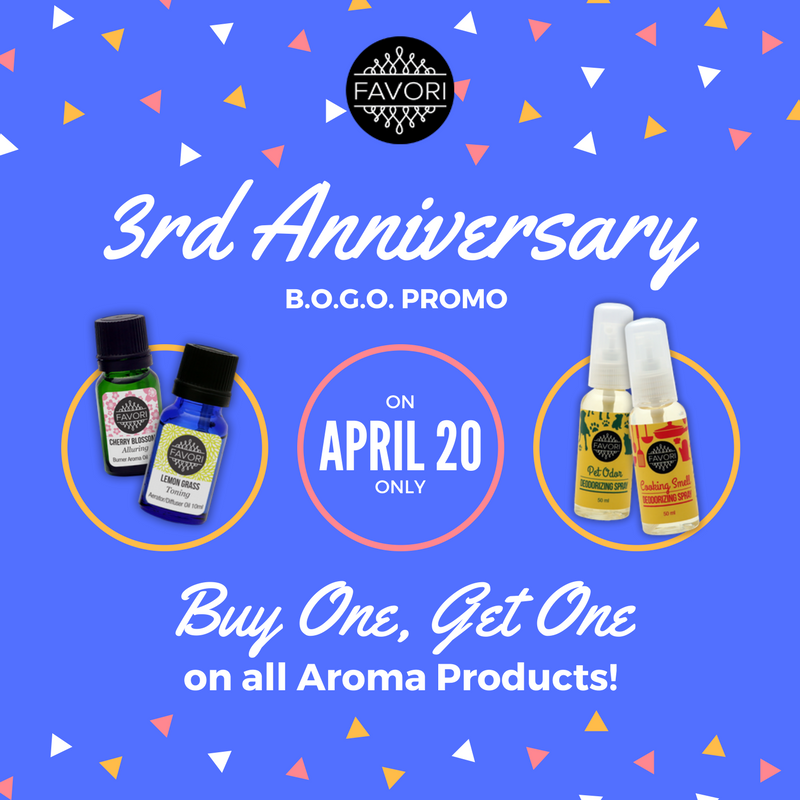 The Buy One, Get One Promo applies to all Aroma Products (except Aroma Devices) - Aroma Oils, Regular and Premium Reed Diffusers, Soy Aroma Candles, Aroma Pouches, Salves and Massage Oils, as well as Home, Mood and Activity Sprays. The “get one” item will be the same product type, but scent variant will be determined by the FAVORI staff depending on available stocks. 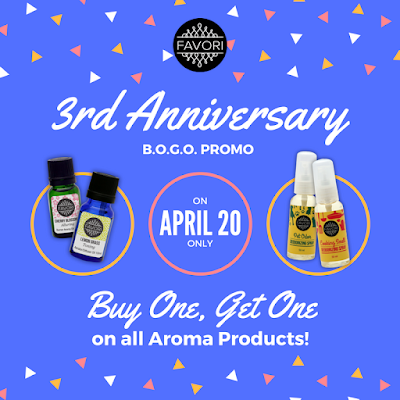 FAVORI's Anniversary Buy One Get One promo is valid on April 20, 2017 only on all mall customers (does not apply to online store purchases). Make sure to drop by at any Favori stores - Robinson’s Place Manila, SM Megamall, SM Southmall, SM City Marikina, or Market! Market!